Brand new Doral Urban elevation ranch in Golf Ridge of Dundee TO BE BUILT. Unit 43, located on premium homesite backs to golf course. 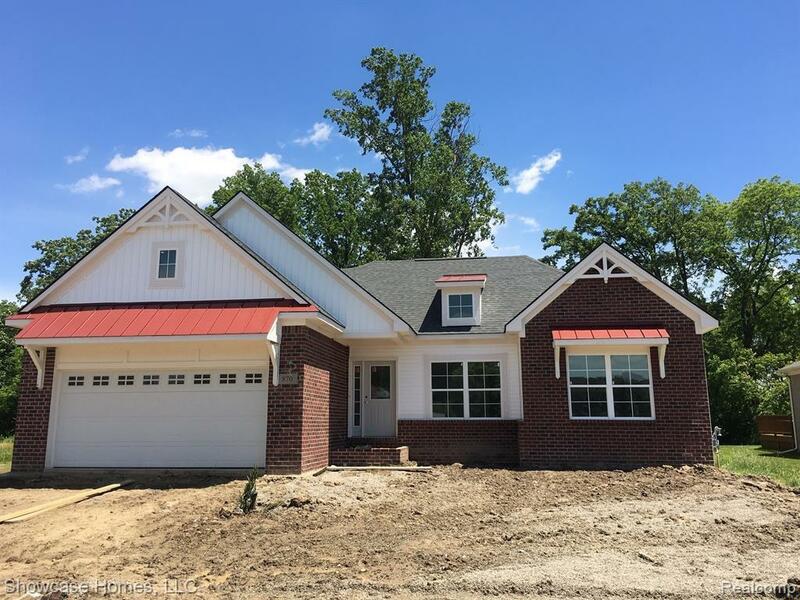 Dimensional shingles, 9&apos; ceilings, vaulted ceilings in great room and master bedroom, 3 car tandem garage, open kitchen, pantry, oak floors in kit, dining, hallway and foyer. Kitchen with granite counter tops, Stainless side by side refrigerator, electric stove, dishwasher and non-vented microwave. Master bath has dual vanity with granite counter tops, soaker tub, upgraded tiled shower and floors, HUGE walk in closet. Main bath with granite counter top and upgraded ceramic tile. Full basement with egress window, 95.5%+ eff furnace, HE 40 gal hot water tank, R 38 ceiling, R21 Walls, Low e insulated windows and energy sealant for a more energy efficient home. Garage is fully drywalled (you can finish it). Service door. Photos and virtual tour are of similar home. Builder holds deposit and purchase agreement on builders own contract.